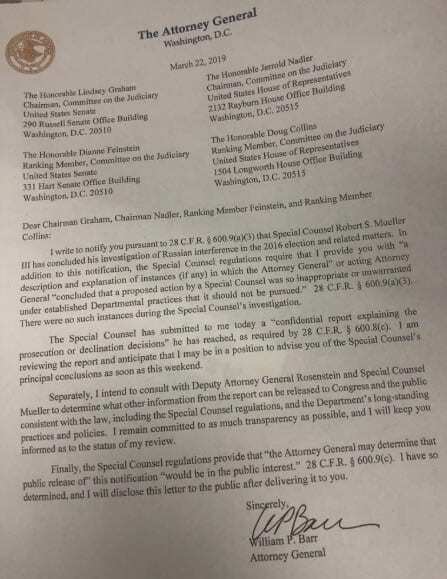 The Justice Department notified Congress late Friday that it had received Mueller’s report but did not describe its contents. Barr is expected to summarize the findings for lawmakers in coming days. This entry was posted on March 22nd 2019 at 5:24pm/17:24 and is filed under Law & Justice, Live News Column 1, Politics. You can follow any responses to this entry through the RSS 2.0 feed.